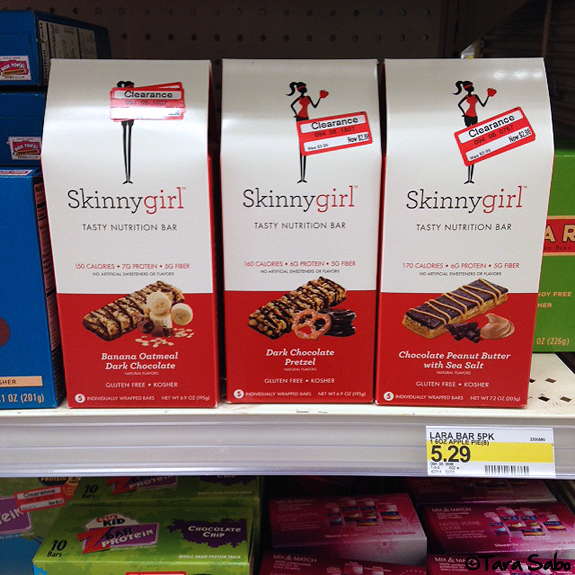 The following post is sponsored by Skinnygirl. Despite compensation and free product, all opinions are my own. Affiliate links are included, click as you see fit. Is anyone else moderately obsessed with all things Target clearance? It's a gold mine for great deals. I can't be trusted around that red sticker. Like, at all. These tasty nutrition bars were marked down to $2/box, so I snatched up one of the Dark Chocolate Pretzel flavors. At that price, wouldn't you? I totally regret not buying more. Snack bars are a must in my life because I go-go-go. If I can't stop to make a delicious bowl of yogurt, or slice up an apple with peanut butter, I like to have options that are totally easy to grab and eat. So, snack bars because they're better than candy bars. 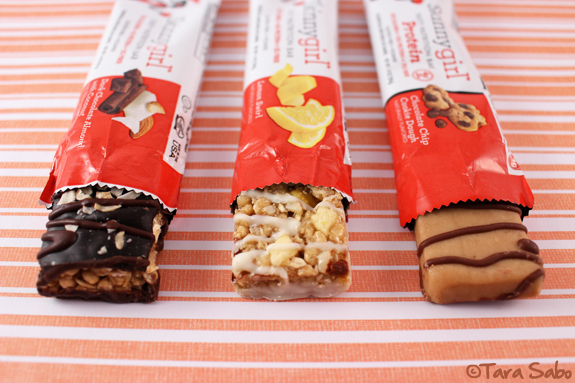 And ever since I reviewed the original Skinnygirl flavors awhile back, they've been a staple in my rotation of favorites. I like them so much that I said "yes" to being an ambassador for the brand. As such, I was sent three new flavors to review. Plus, one has added protein And, hello. CHOCOLATE CHIP COOKIE DOUGH. Yes. Even though I don't shy away from a bite of the real thing, it's nice to have a slightly healthier option with additional protein. 10 grams, to be specific. And we all know that protein is good for muscles and after a solid workout, it's what I want and need. Even though cookie dough makes for a clear winner (especially when it clocks in at 120 calories a bar), I have to say that I like all three flavors. But, you might be surprisedto hear that I liked Lemon Swirl the best. I'm a sucker for lemon-flavored goodies. They always taste so refreshing. It looks good, right? Post workout, mid-feeding session with my little man. Quick snack, done and done. 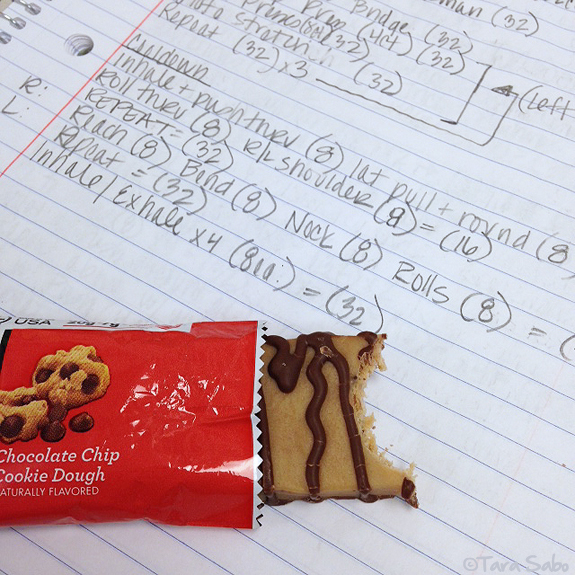 I'd show you more pictures of me eating the bars but the bars are also done and done because #delicious. Wanna try them? 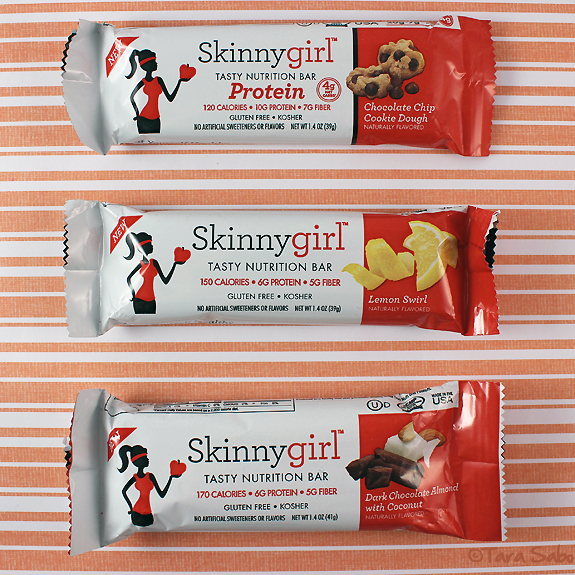 How about a prize pack with all three Skinnygirl Tasty Nutrition Bar flavors? Use the Rafflecopter widget below to enter. Contest ends on DAY, MONTH, 2015 at midnight EST. Winner will be picked at random and notified via email. But if you can't wait that long, you can always pick up a few bars for yourself at Target and a variety of other different retailers. Or you can order them online and save 10% when you use FIT1 at checkout. The lemon and cookie dough sound the best to me!! Oh, dark chocolate almond coconut sounds good. 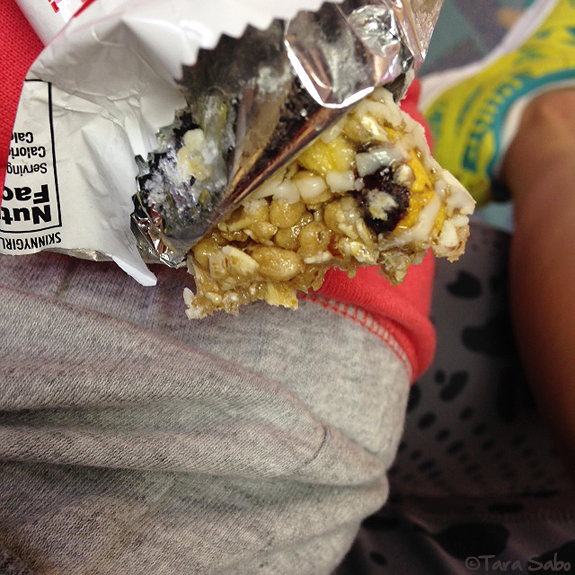 I love having an energy bar after my workout. Chocolate chip cookie dough appeals to me the best. I would love to try the cookie dough! I always, always keep a healthy snack in my purse, car, and desk at work in case I forget my lunch or have to work late unexpectedly (it happens a lot! ), so nutrition bars that can tide me over until dinner while still being healthy are my ideal snacks. cookie dough yum! when i'm out and about, I try to keep a bar in my purse so that I dont spring for fast food! Dark chocolate almond with coconut sounds really good. I would love the Dark Chocolate Almond with Coconut. Yum I want to try lemon swirl!